Because of the myths surrounding their condition, it is often times difficult to find homes for FIV+ cats. Feral Fixers has a few FIV+ cats available for adoption and an ongoing program (Can you change their luck?) to try and get them adopted. One such cat we had available for adoption was Morton. 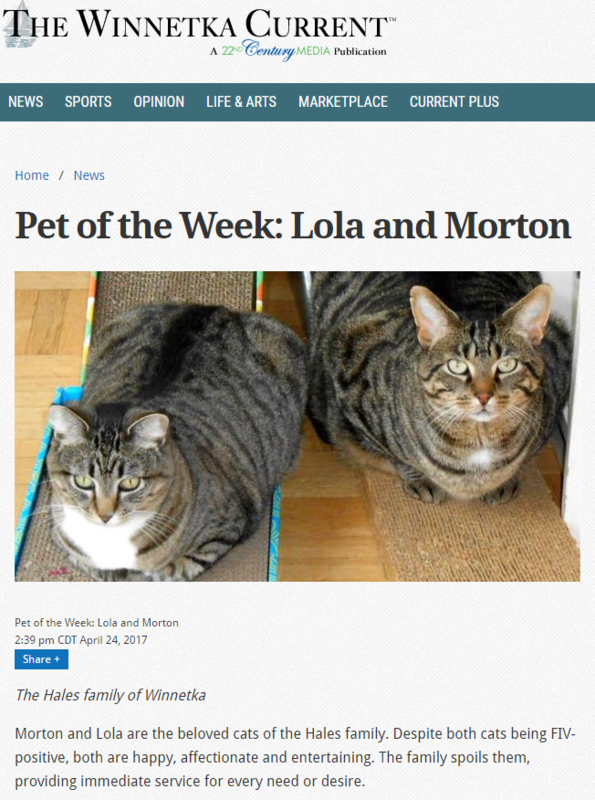 He was adopted several years ago, in August of 2013, and was recently featured in a news story in the Winnetka Current. At the time of his adoption, he was estimated to be 2.5 years old. The adopters stay in contact with Feral Fixers and regularly send us pictures of him. He is happy and healthy and proof positive that FIV+ cats can live long and happy lives.